YOTA UK has officially set off Saturday the 6th of August, and who better to tell you about it than the youngsters themselves. In addition to the daily diaries made by the RSGB and the various social media updates. We will be providing short blogpost that describe some of the, radio and non-radio related, activities that the participants have been taking part in. 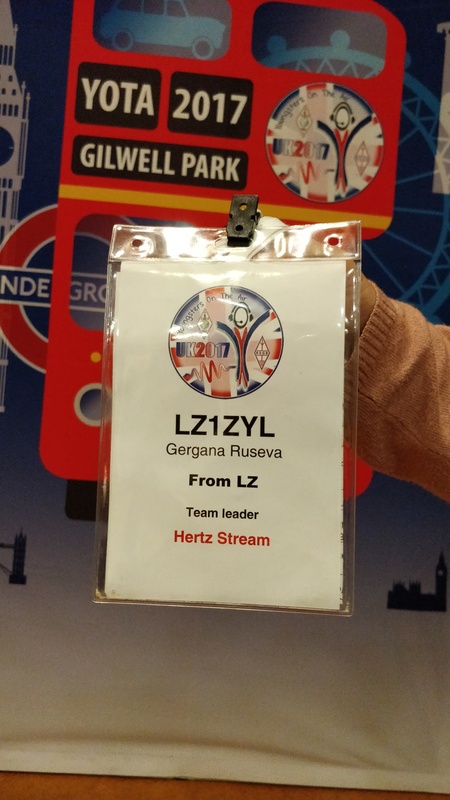 Today we have Gergana and Mihaela describing their visit to London and Bletchley Park respectively. All of the participating teams in YOTA UK are divided into groups with a couple of teams per group. Every group, or stream is assigned its own stream leader who is a part of the organization team and is responsible for the teams in his stream during activities off site. On different days, the different streams go off to take part in the scheduled events. The stream leader of the Hertz stream (called that way after Heinrich Hertz) is Milo Noblet 2E0ILO. On Tuesday under his guidance we went on our way to England’s capital city London for a day of sight-seeing. First in the schedule was a guided tour through the most important administrative buildings and monuments some of which included the Palace of Westminster, the Buckingham Palace as well as the monument in honour to the women of the Second World War and the tomb of The Unknown Warrior among others. Thanks to our brilliant guide Maggie who set a friendly mood from the very beginning we learned a lot and had a great time wondering around town. In the afternoon we visited the Science Museum where we spent a few hours enjoying all the museum had to offer. After that at our request our stream leader and the guys from the organization team were kind enough to take us to the very fictional, but very exciting for Harry Potter fans platform 9 ¾ at the King’s Cross train station. When we were done taking pictures, we made our way back to the YOTA camp to prepare for the activities for the next day. 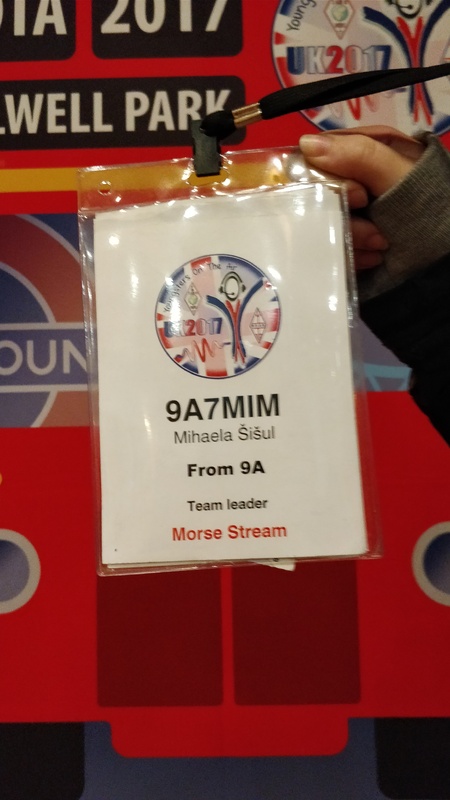 On Monday morning teams from Morse stream under the leadership of Kieran Clarke 2E0NCN went to Bletchley Park where we were divided into two groups of nine. One group stayed at the station RSGB uses to demonstrate ham radio and had the opportunity to make some QSOs and attempt communication via satellites. While the second group went on a guided tour through the museum where we learned information about Alan Turings life, what inspired him and how he came up with his machine (named the Bombe) which decoded encrypted German messages during the Second World War. In the museum we saw a replica of the Turing machine on which we had a demonstration of how it works. Then we proceeded to another part of the museum dedicated to the Lorenz Cipher and its role in the creation of a digital mode RTTY and vice versa. In the afternoon we went to do a SOTA (Summits on the air) activation. Once on site we joined forces and worked together to put the antennas up and make some QSOs in CW and SSB on 17m band. After we all made enough QSOs we got back on the minibuses and traveled back to the camp to rest for other activities during the week.